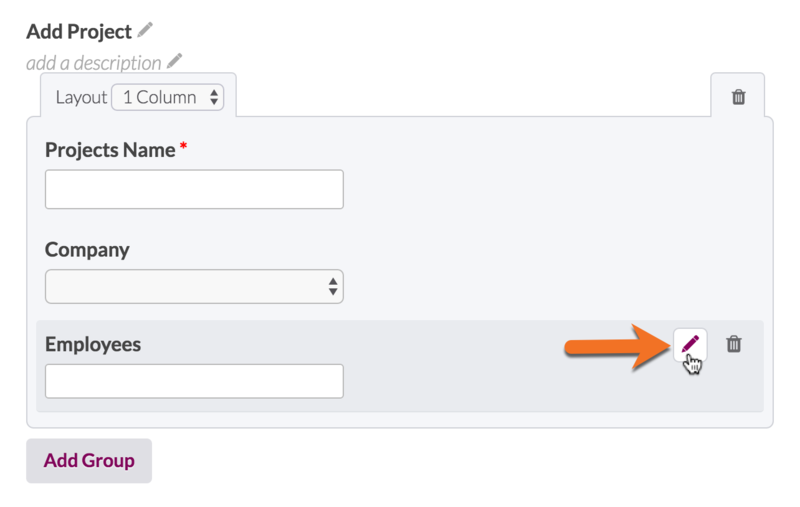 Dynamic drop downs, also called dependent or cascading drop downs, are actually just two related connection fields in a form. They allow you to show values in the second drop down field based on the selection made in the first drop down field. For example, a consulting company wants to create new Projects and assign them to an Employee at the Company they work with. On the Add Project form, they only want to see the Employees that work at the selected Company. They do not want to see all the Employee records in their database. In other words, you’ll be editing the form to only show the child records connected to the selected parent record. In the Data sections of the Builder, navigate to the Employees object. Add a connection to the Companies object. 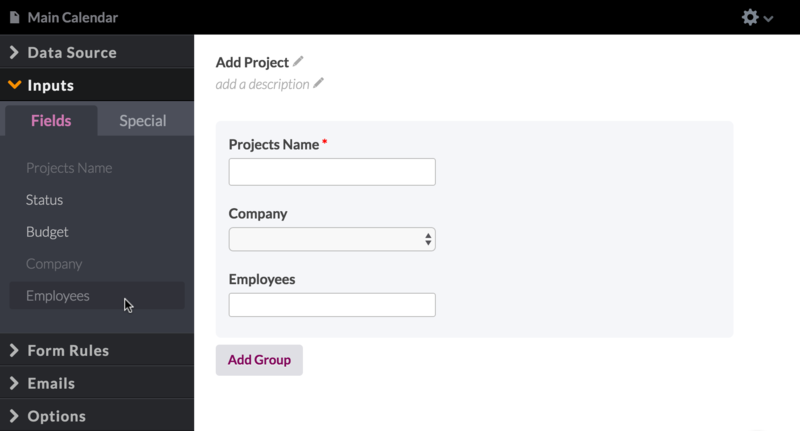 In Projects, add two connection fields, one to Companies and one to Employees. Add some sample records to the Companies and Employees objects, connecting the Employee records to a Company. In the Pages section of the Builder, add a new page for Projects. Include a form at add a new Project on that page. Go to the form you created in the Live App and select a Company from the dropdown. Click on the Employees dropdown to ensure only the Employee records you connected to the selected Company are displayed. 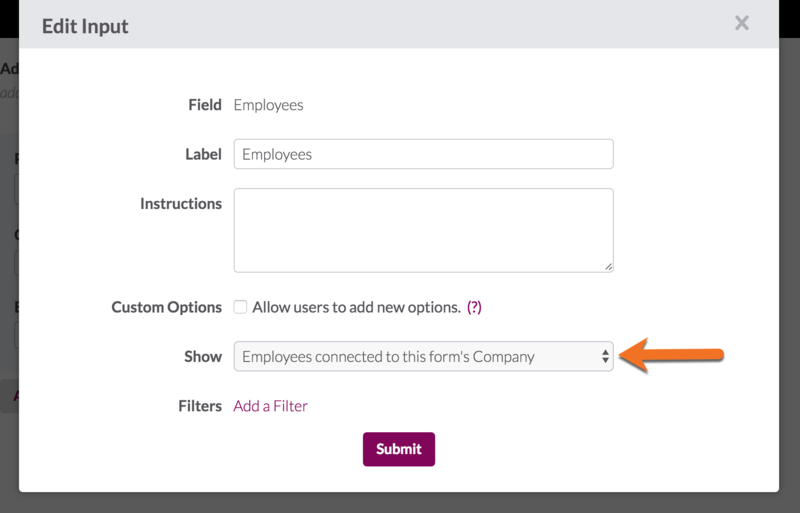 When you select a different Company, the Employee records will automatically update to only show the Employees connected to the selected Company. Make sure your connection is set up properly. You’ll want the connection to be in the child object, or the object associated with the connection field you’re editing. Make sure the field you are editing is a connection field.